In AWS, a Bastion host (also referred to as a Jump server) can be used to securely access instances in the private subnets. Bastion host launched in the Public subnets would act as a primary access point from the Internet and acts as a proxy to other instances. A customer is running a multi-tier web application farm in a virtual private cloud (VPC) that is not connected to their corporate network. 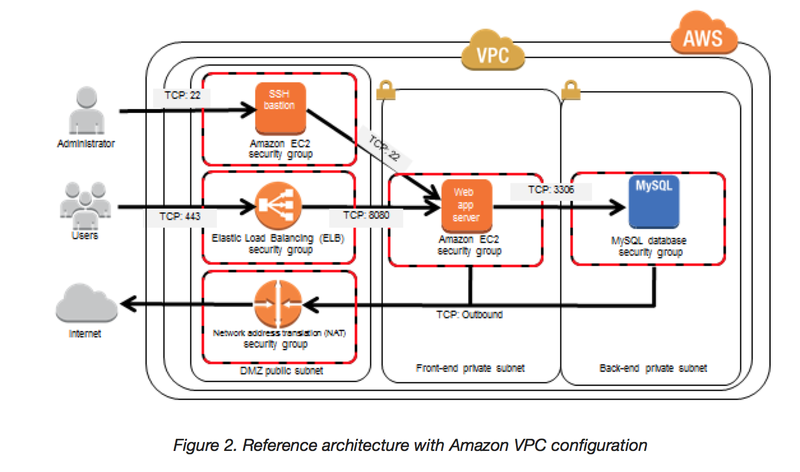 They are connecting to the VPC over the Internet to manage all of their Amazon EC2 instances running in both the public and private subnets. They have only authorized the bastion-security-group with Microsoft Remote Desktop Protocol (RDP) access to the application instance security groups, but the company wants to further limit administrative access to all of the instances in the VPC. Which of the following Bastion deployment scenarios will meet this requirement? Deploy a Windows Bastion host on the corporate network that has RDP access to all instances in the VPC. Deploy a Windows Bastion host with an Elastic IP address in the public subnet and allow SSH access to the bastion from anywhere. Deploy a Windows Bastion host with an Elastic IP address in the private subnet, and restrict RDP access to the bastion from only the corporate public IP addresses. Deploy a Windows Bastion host with an auto-assigned Public IP address in the public subnet, and allow RDP access to the bastion from only the corporate public IP addresses. You are now ready to begin deploying EC2 instances into the VPC. Web servers must have direct access to the internet Application and database servers cannot have direct access to the internet. Which configuration below will allow you the ability to remotely administer your application and database servers, as well as allow these servers to retrieve updates from the Internet? You are tasked with setting up a Linux bastion host for access to Amazon EC2 instances running in your VPC. Only clients connecting from the corporate external public IP address 72.34.51.100 should have SSH access to the host. Which option will meet the customer requirement? Can you please shed a little more light on the bastion host question and why you picked that answer above? There is only one IP address mentioned in the question so why the CIDR block in the answer? Also in the case of a security group, why the specific mention of “inbound”? Aren’t security groups supposed to be stateful meaning you don’t specify whether it is inbound or outbound? Bastion are like jump servers to allow access to the host in the private subnet. Also why can’t the same thing be accomplished with NACLs? What makes the security group the correct choice? Could you please explain your answer to the third question? Updated the answers with the explanation. Let me know if any confusion. Shouldn’t a route be added to rtb-238bc44b for Bastion? Is just adding a route to NAT good enough? I mean, would it take care of Bastion as well? NAT is to route the traffic and hence should be specified in the Route table for enabling the instances in private subnet to route traffic to internet. Bastion is more of a jump server and is used for enabling users to login to the instances in private subnet. This communication is taken care security groups.